Hello friends! I know that my posting has been a bit all over the place and I'm doing my best to commit to a set routine during the week, but as we all know life happens, especially as summer nears and weeknights / weekends start to fill up! I'm still in a bit of shock as to how it's already June! If these first 6 months are any indication of the next 6 months, then life is not going to slow down! It's been a while since I've linked up with Amanda, so let's start out June with some favorites! We're Home Owners!! This is obviously my absolute favorite of the day, week, month & year!! The opportunity to buy our current condo came up after we returned from our California trip & we pounced on it!! You'll be seeing a lot of DIYs (we already started with this one) over the next few months because G's "Honey Do List" is growing by the day! Thank you so much to everyone who commented on Instagram & for all of your well wishes - we're pretty pumped!! 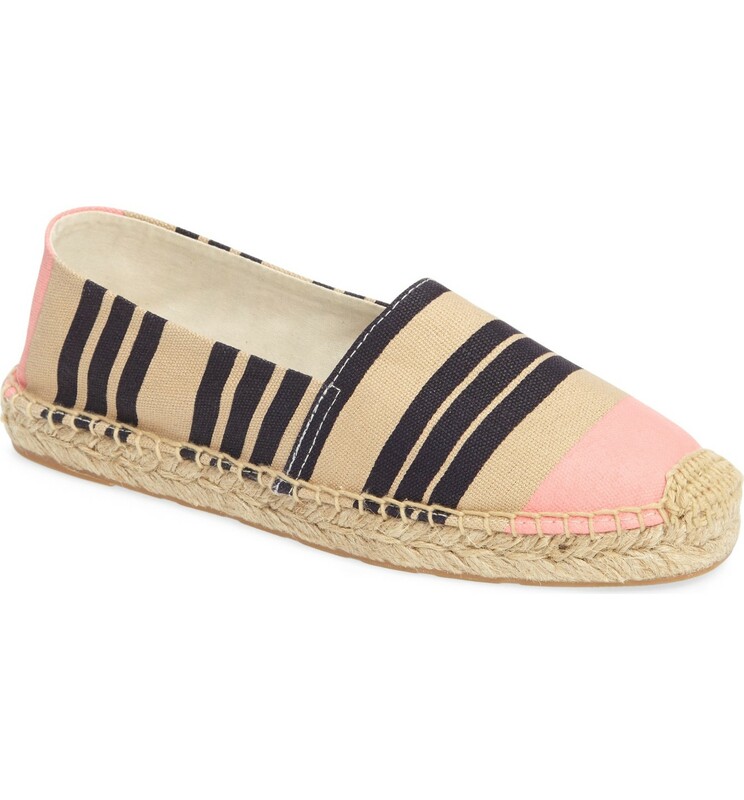 I actually didn't go too crazy during the Nordstrom Half-Yearly sale, but I did pick up these super cute espadrilles that come in 8 different color options & I can't wait for them to arrive. My other espadrilles were absolutely worn through the soles, so it was time! I think they are going to be perfect for Summer! I've been on a spin class kick over the last few months so when the folks over at Recycle Studio asked me to take one of their classes I couldn't wait to try it! They have two studios in Boston and I love the location of the Boston Common one! I have yet to take the plunge and purchase my own spin shoes, so I was happy that they have that with the class. Side note, I feel like the soreness you get after you're wearing proper spin shoes is so much more than just tennis shoes! The staff, music & class were all fantastic!! G is actually a fan of their classes as well, so we can't wait to go back together! I also just started an 8 week team training class at my gym. It's only a half hour once a week and the instructor is one of my favorites, so I'm excited to be pushed to the limit at least once a week!! It's always nice to change up your routine and trick your body! I've been doing my best to switch up our weeknight / sunday dinner's. I usually opt for things that take no more than 10 minutes to prep & 30 minutes to cook. When I spotted this seared salmon with watermelon tomato avocado salsa it screamed summer and fresh to me! Hoping to try it out this Sunday! After two back to back events this week I'm looking forward to a very lazy weekend at home! Hope you all have something fun planned! See you back here Monday for the weekending link up! Congrats again! Very exciting on the condo!!! That meal looks really delicious - very light and fresh. You will have to share if the watermelon / avocado is a win! So exciting for you two! Can't wait to see more DIYs. I love watermelon in my salad this time of year, it screams summer to me lol! Still so excited about your new home! And how nice that you don't have to move :) enjoy your weekend!! Congrats to you, you beautiful people!!! I'll take one of those salad this weekend and adore the espadrilles!! Enjoy the first weekend of June, crazy!! So excited for you girl!!!!! You guys totally deserve it! Ohhh I miss spin classes the feeling when you are done is pure euphoria. I hope you have a nice relaxing weekend! Congrats on your home! It is such a great experience buying your first home. We have loved it. Those shoes are sooo cute too! Have a great weekend! Congratulations! Welcome to home ownership! That salad looks so delicious; I'll definitely have to try it! SO exciting lady!! How nice that you don't even have to move your stuff again and just get to stay put! Congrats again, home owner!!!! How exciting! Can't wait to see all your DIYs! I have never taken a spin class but I would love to have a bike at home to do the online ones. I can only imagine the calorie burn! Hope you enjoy your weekend and get some relaxing in! Congrats on your new home! So exciting and I'm looking forward to seeing your DIYs! That salad looks so good! Have a great weekend! Congrats again on the new home! That is just so exciting and it's so fun to have a place that is yours!! I didn't go too crazy either during this sale but those espadrilles are adorable!! This salmon dish looks amazing! Have a lovely weekend. Yay for being a homeowner! That's awesome that you were able to stay in your current condo! And definitely saving that recipe. Happy Friday! No stress about lack of routine. Everyone in blog land leaves now and again in the summer, enjoy LIFE! YAY a house, congrats, welcome to the club :)! Congratulations again! Can't wait to see all of your DIYs! Home ownership is great. Hope you guys have a great weekend! I'm SO happy for you, girl, congrats again! I wasn't sure if you purchased a new home, since I know that you both just recently moved into the condo; that's AWESOME that you were presented with the opportunity to buy it!!! I can't wait to see all the fun DIY's you have lined up. I didn't do any shopping during the Nordstrom Sale because I'm waiting for the anniversary and by then, I'll have the little one and will probably do more shopping for her than anything else, haha. Thanks for sharing, beauty, and I hope you have a great weekend ahead! Congratulations! So exciting!! I've always wanted to try a spin class! Can't wait to hear how you like it in the long term and what results you see! I'm so very happy for you!! How exciting!! Looking forward to seeing all your DIY's. Have a great weekend. Congrats on being a homeowner! What a big step in life. That salmon dish looks absolutely amazing. I definitely need to give it a try. Have a great weekend! Such a "feel good" post!! The food looks amazing, it definitely made me hungry. I am just so giddy for you & your new house. Cant wait to see all the pics of settling in! 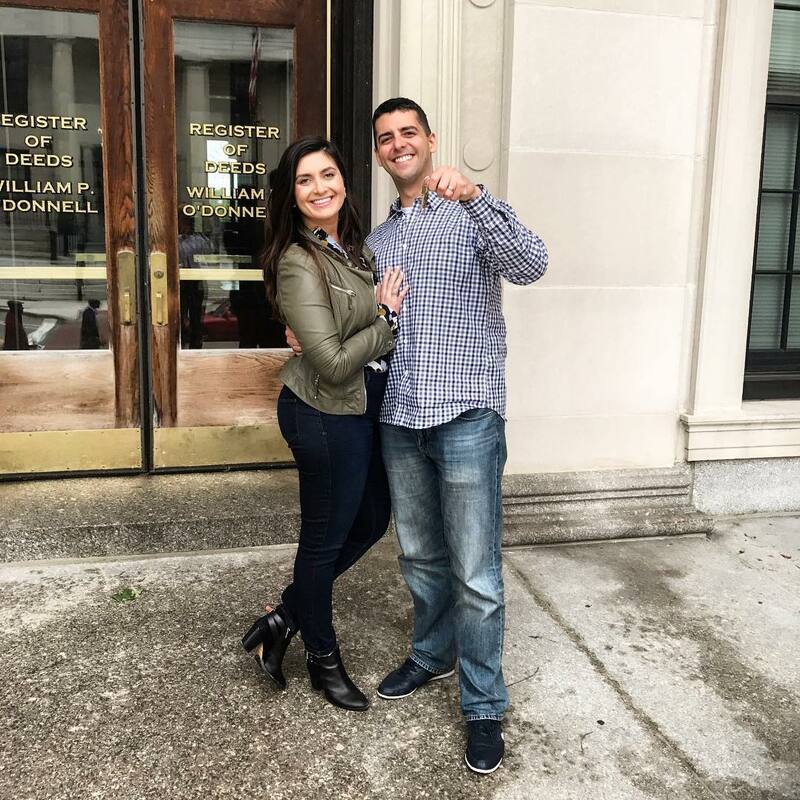 Congratulations on becoming home owners! That's so awesome you were able to buy the condo without having to moving again! 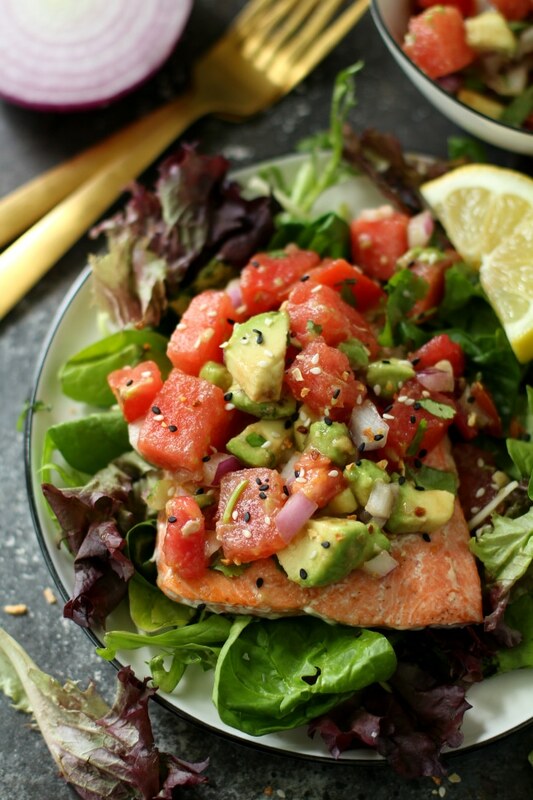 That salmon salad looks amazing -- tomatoes and avocados are my very favorite so I will have to give this a try! Happy Friday! So excited for you guys! I love that you could buy your own condo and not have to move, too! I am SO excited for you guys! Congratulations again! Yay on buying a house. I am so excited for you guys and can't wait to see how you decorate. I love spin class and can't wait to find another one around here that I like. I hope you have a great weekend! Oh em gee!!!! Congrats!!!! I can't wait to see more!! I am so excited for you guys and your new place! I cannot wait to see how you decorate it! And yay for finding that spinning class! I haven't taken spinning in forever and I'm seriously missing it. Spinning shoes make such a difference too! Congratulations again on becoming homeowners, so excited for both you!! :) can't wait for all the DIY posts! Congrats on the condo!! That's so exciting!! I'm so so happy for you & Gary! Congrats on becoming homeowners!! That's awesome you were able to buy your current condo which removes the hassle of moving again. Can't wait to see all the future projects around the house. I loved the tip out sink tray G installed last month...enjoy the weekend pretty lady!! Congrats on being homeowners! That salmon looks so good. Congratulations Biana! I can't wait to see more DIYs! And you'll have to keep us posted on the salmon - sounds selfish! Congrats on becoming homeowners, so exciting! Can't wait to see all your projects. Love those espadrilles, too! I am a little bit behind, but congratulations on buying your first home!! I can't wait to hear more about the DIYs and projects you guys have planned. 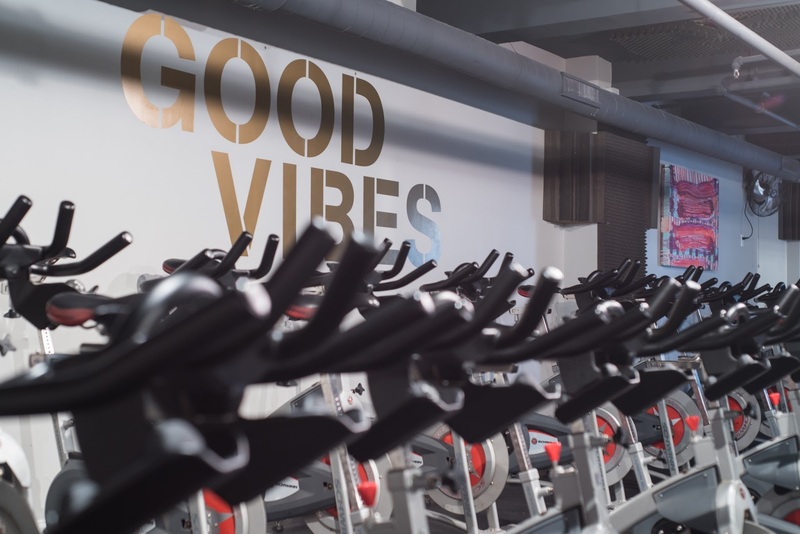 Your spin class sounds so fun- it's the best when you find a great workout that you really enjoy.